Image: Shutterstock / Alexandros Michailidis. What can we write about New Zealand Prime Minister Jacinda Ardern that hasn’t been written already? The low-key but hard-hitting PM is making waves across the planet for her policy changes as well as her simple acts of human decency, making her a frontrunner for our #MomGoals role model of the year. 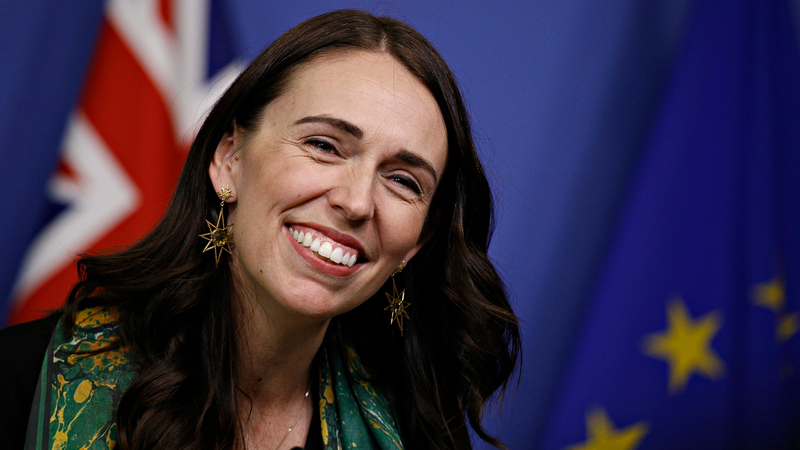 Just look at this latest marvel of moms-helping-moms news: Recently, Ardern paid for the groceries of a fellow mother who had forgotten her wallet on a trip to the supermarket. The woman wrote that she tried to explain to her little ones just who the Good Samaritan was who paid for their groceries, but her kids were only interested in the fact that their mom had somehow managed to forget her wallet. And it’s not just the glitterati who are responding to Ardern. Twitter is full of praise for the NZ PM, who enacted stricter gun laws almost immediately in the wake of the Christchurch murders. Aaaand did we mention she’s the first world leader to ever tote along an infant to a United Nations general assembly meeting? Yup. Okay, fine, so we’ve mentioned a few key facts about Ardern in the past. We love Jacinda and we can’t hide it. Truly, Ardern isn’t just #MomGoals. She’s #HumanityGoals. How do we sign up for a leader like this? Is there a signup sheet? No?